Twenty-thousand drivers use County Road 90 between Barrie and Angus every day, and it remains under construction heading into fall. The $80-million dollar road project has been ongoing since 2011, and today, officials say they’re still on budget. 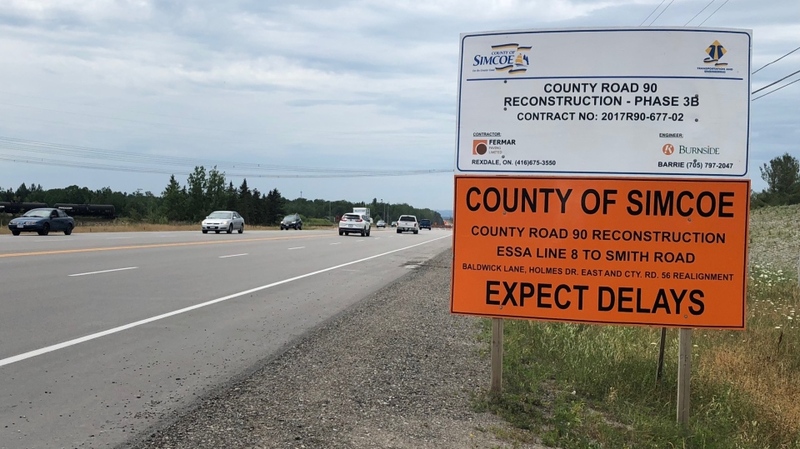 “The road is being widened from the existing two lanes that you see there now, to a five lane cross section,” says Christian Meile from the County of Simcoe. On Thursday, construction crews spent the day laying pavement in some sections. It was the last few touches, before moving further down the road. There are just two sections of County Road 90 which still need work, totalling about 2 kilometres. The first is from 8th Line of Essa Township, to the other side of the bridge. That section should be finished in six weeks. Then, the final area to be completed is from the 6th Line, to the Nottawasaga River. 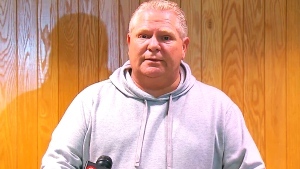 Despite losing 30 feet of frontage to the work, Walter Jonke, who works at Auto Wreckers in the area, thinks it will make life a lot better for his staff, and the people who drive by. “It’s better for us because we have multiple trucks coming in and out of here, and they don’t block the road and cause traffic headaches,” says Jonke. “Since the widening of the road, people are going much faster, and there’s a much larger quantity of vehicles using this now. So, we’ve seen the traffic go from just mediocre to huge,” says Kathy Ledyit, who lives along the road. Work on County Road 90 is expected to be fully complete sometime in 2019.